Physics, the most fundamental and abstract of the sciences, is inextricably linked to mathematics, the language it is expressed in. 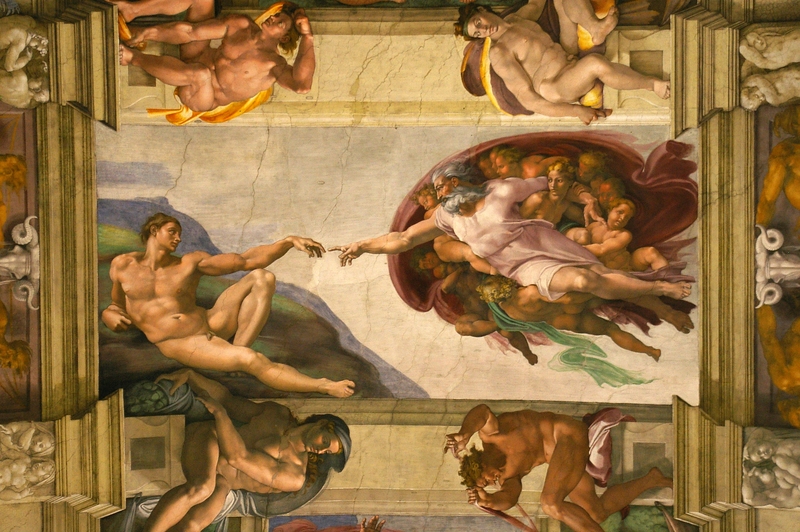 Central to physics is the concept of mathematical beauty. This aesthetic quality, whilst not easily definable, is not subject to any doubt to those who can appreciate it. A study of the brain scans of a group of mathematicians at University College London reveals that beautiful equations have an emotional effect that is not unlike great art and music; observed here was an increase in activity in the medial orbito-frontal cortex—the emotional part of the brain—when gazing at equations whose beauty they rated highly. The lack of a precise definition of mathematical beauty, and beauty itself being a subjective concept, may lead one to dismiss the subject as not worthy of further discussion. However, a naïve survey of the field reveals a general agreement on the underlying characteristics of what makes an equation “beautiful”. Amongst the not-too-tangible qualities often cited to constitute mathematical beauty are simplicity, symmetry, and elegance. Euler’s equation, highly regarded among mathematicians, is one such example where the union of five constants is made in a rather simple and neat fashion. The expression of the fundamental laws of nature in simple mathematical equations thus carries in it an element of poetic beauty. 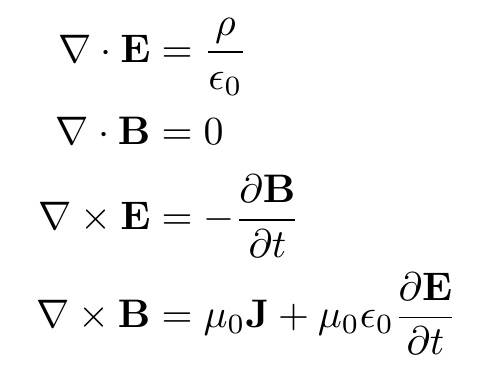 The rather succinct Schrödinger’s equation below, for instance, describes the behaviour of atoms and their constituents down to the finest detail, which if solved, gives the probability of finding a particle at a given position. 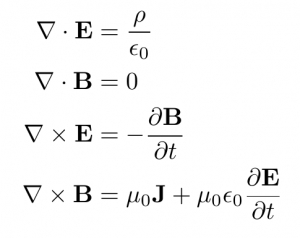 A personal favourite of mine is the set of Maxwell’s equations. In this elegant formulation we find the marriage of two previously unrelated realms of electricity and magnetism. As an undergraduate, a charismatic lecturer took us through a long journey towards the finale of the four neat equations, whereupon he exclaimed with certain gravity in his voice, “And that’s how Maxwell came up with these equations of electromagnetism, right here in this building”. It sent a chill down my spine which I have never quite forgotten. There was perhaps no one amongst the 20th century physicists more obsessed with mathematical beauty than Paul Dirac. A trained engineer, he was spurred to take up physics by Einstein’s work on relativity and later became a pioneer of quantum field theory. To Dirac, it was precisely this aesthetic quality that makes the general theory of relativity great, despite the greater mathematical complexities and its going against the principle of simplicity. Few physicists would today contest the beauty of his eponymous equation. Deceptively simple, the equation united the then distinctly separate special theory of relativity and the quantum theory to describe the electron, and remarkably predicted the existence of antimatter—an outlandish claim at the time, but is now taken for granted to constitute half of the early universe, as per the Big Bang theory. This aestheticism will regrettably remain inscrutable to many. In the words of Dirac, mathematical beauty is “a quality which cannot be defined, any more than beauty in art can be defined, but which people who study mathematics have no difficulty in appreciating”. It is presumably this which led Bertrand Russell to call it cold and austere. I have read that engineers tend to be rigorous empiricists who view mathematics primarily as useful tools to get things done. On the other hand, mathematicians tend to believe that the abstract beauty of their field points to the existence of these “sublime and beautiful” relationships regardless of their empirical usefulness. They believe, in other words, in metaphysics, while engineers stick to the empirical world. It is ironic, to me, that some mathematicians consider these abstractions “cold and austere”, when they may be the gateway to mystery and awe. This was a remarkable read. I’m passionate about physics and I’ve come to appreciate the intrinsic beauty it holds and how mathematics expresses it. It’s an idea I’ve always kept to myself and it was very nice to see it articulated here. I would add however, a defining feature of most artworks is that it acts as a stimulus; in that it prods and stimulates you to think deeply about what it is describing. For instance, ‘Saturn Devouring His Son’ makes me ponder human’s obsession with power. 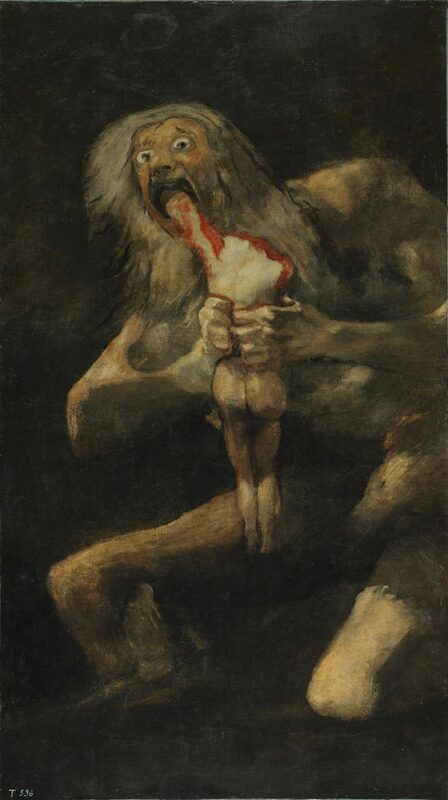 Saturn ate his children just to avoid being overthrown! So in a similar way, when I see an elegant mathematical formula, it prods me to think about all the things it represents. For instance, behind all elegant and simple mathematical statements, there is a story of how it was formulated and a story of it’s description of nature. There is always more than meets the eye. This is another way I find Mathematics runs similarly to great Art. What a great read. You have a wonderful writing style. This piece opened my eyes to a side of mathematics that I had never considered. I’m not sure I buy all of it but it i refreshing to think of maths as more than just abstract numbers and symbols on a page! Beautifully written. I’m no mathematician, but I remember my complete disbelief the first time I saw (and understood) Euler’s identity in year 12. Wish I understood the rest too!